Blue Flag plant, Iris versicolour, is greatly valued in the treatment of menstrual problems, thyroid irregularity and herpes. Minute doses are also known to stimulate lymphatic flow and clear the complexion of the skin. Medicinal properties aside, Blue Flag is an attractive addition to any garden. Note: Potentially toxic, do not take internally. Blue Flag plant is native to eastern and central North America and prefers loamy or peaty soils in a moist, protected position. In summer produces complex and brilliant blue-violet Iris flowers. Frost resistant, but drought tender. 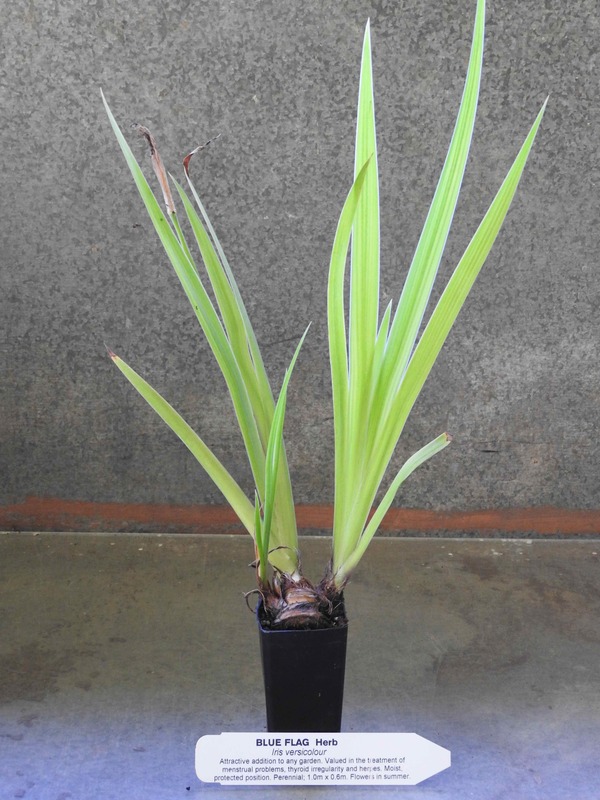 A perennial plant, growing to 1.0m x 0.6m..
Be the first to review “Blue Flag, plant” Click here to cancel reply.